Passengers of the two Star Alliance members will have access to codeshare options operated by Eva Air from Taipei to major destinations in Japan and South Korea. Boeing, Air Lease Corporation and Eva Air have celebrated the delivery of the airline’s first 787-9 Dreamliner. Eva Air plans to debut the long-range and super-efficient airplane in November on international routes. EVA Air has celebrated its official partnership with West Ham United Football Club as the Premier League club took to London Stadium’s pitch for its first game of the season. The event will give up to 20,000 runners from across the globe the chance to enjoy Taipei’s scenery and skyline as they compete in the half marathon, or shorter ten- and three-kilometre races. Eva Air has announced a partnership agreement with Premier League football club West Ham United, which will take effect from June. The agreement will see the independent Taiwanese airline become West Ham United’s official airline partner, as the club prepares to embark upon their third season in the London Stadium in Stratford. Eva Air will launch daily non-stop flights between Taipei and Chiang Mai on July 1st. Taiwan’s independent airline will serve the route with an Airbus A321-200, configured in business and economy classes for 184 passengers. 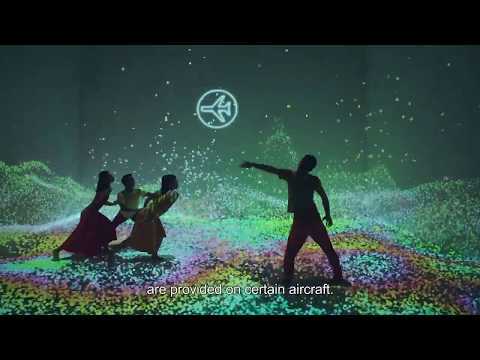 Eva Air is bringing art to the skies with its new inflight safety video. Combining the talents of award-winning director Robin Lee and internationally celebrated choreographer Bulareyaung Pagarlava, the five-minute, 26-second video is now available on all Eva flights worldwide and on international flights operated by its regional affiliate, Uni Air. Eva Air has said goodbye to the old and welcomed the new in a retirement celebration for its Boeing 747-400 passenger aircraft, an event which also saw the debut of its new uniforms as designed by Shiatzy Chen. EVA Air has partnered with RIMOWA to introduce cutting-edge electronic tags into the carrier’s check-in procedures. Becoming the first airline is Asia and the second worldwide to officially offer the new service, the independent Taiwanese airline’s passengers can now use a mobile app and RIMOWA’s electronic tag system for a seamless check-in experience. EVA Air has announced the initiation of a code-share agreement with fellow Star Alliance member, Avianca, making travel between Asia and Central America much more convenient for both the airlines’ passengers. The new code-share agreement will enable EVA Air’s passengers to connect through Los Angeles, New York and San Francisco to connect with Avianca flights to San Salvador, while Avianca’s passengers will be able to connect through the same US airports for flights to Taipei.